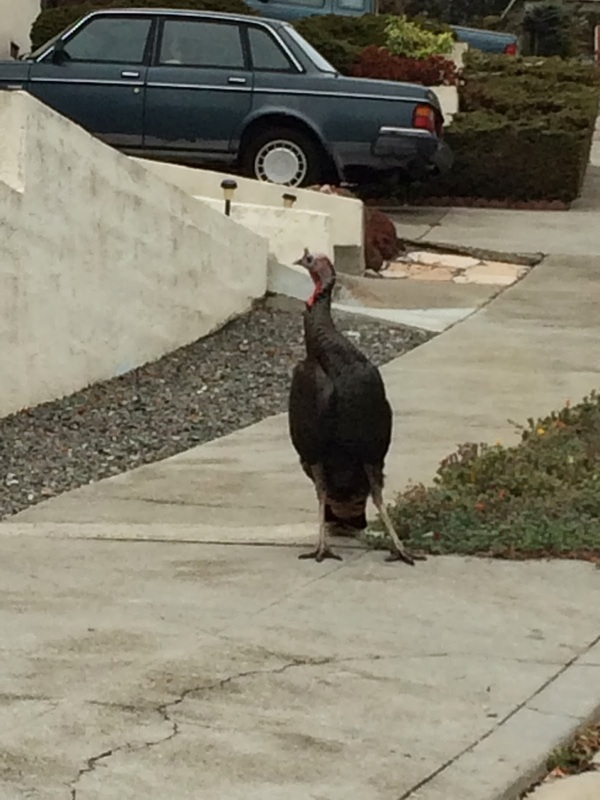 While working in El Cerrito I came across this fellow strolling down Potrero Ave. The dry winter has forced wild turkeys to look for food in cultivated gardens and along busy streets. Keep an eye out while driving.